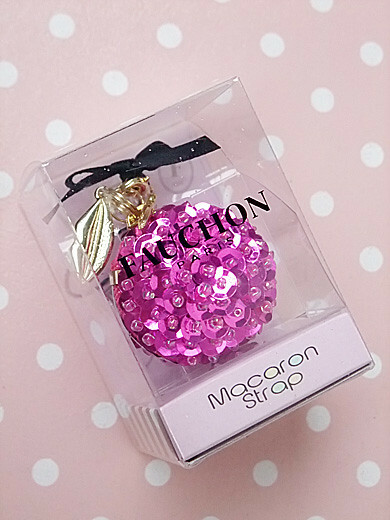 macaron strap, tiny “purse” for 500yen coins collaborate with Fauchon Paris. 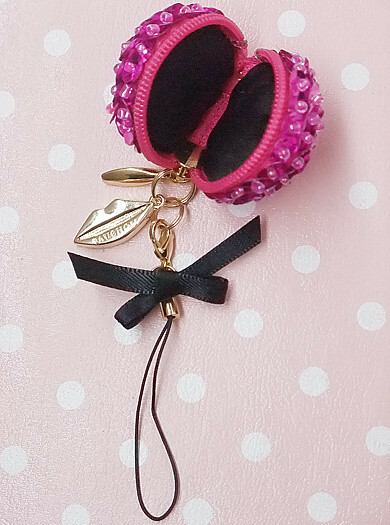 Macaron purse wears Fauchon’s symbol colors, fuchsia pink and black. 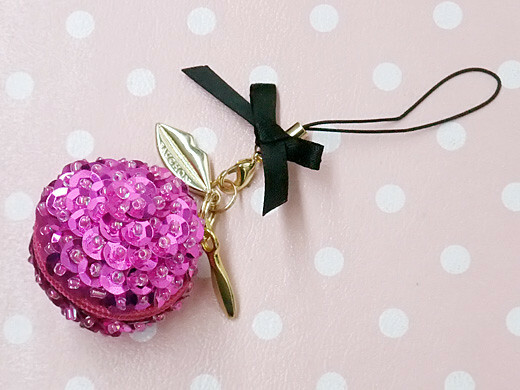 I love its lip shaped charm!